My destination in July, 1999: a huge windswept island, Axel Heiberg, located 700 kilometres south of the North Pole, just off Ellesmere Island. On this remote High Arctic island, fossils were everywhere, and, by the edge of a fast-running river in July, 1999, I saw millions of years of nature tumbling down into the water. With little vegetation to hold the soil together, earth and rocks constantly broke off along the river’s edge, creating clouds of dust as they fall. Each time this happened, the fossils of trees and plants that grew here more than 40 million years ago were lost, carried away to the ocean or slowly dissolved in the swift current. The fragments of fossil wood were batted around in the water or cast up on the shore. Boulders embossed with the imprints of leaves were piled along the bank. 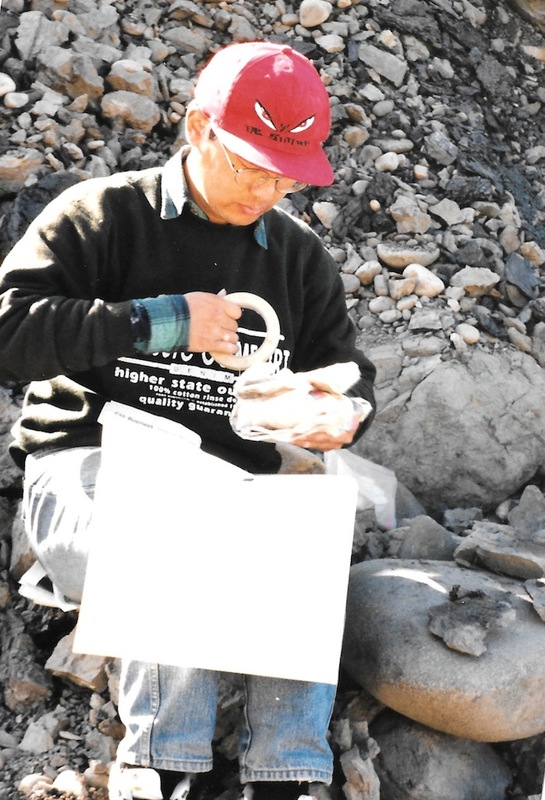 “It’s like a fossil superstore,” said Yusheng Liu, a fossil plant biologist, originally from China, who was then studying on a fellowship with paleo-botanist Jim Basinger in Saskatoon, who had invited me to see his High Arctic research team at work in 1998. 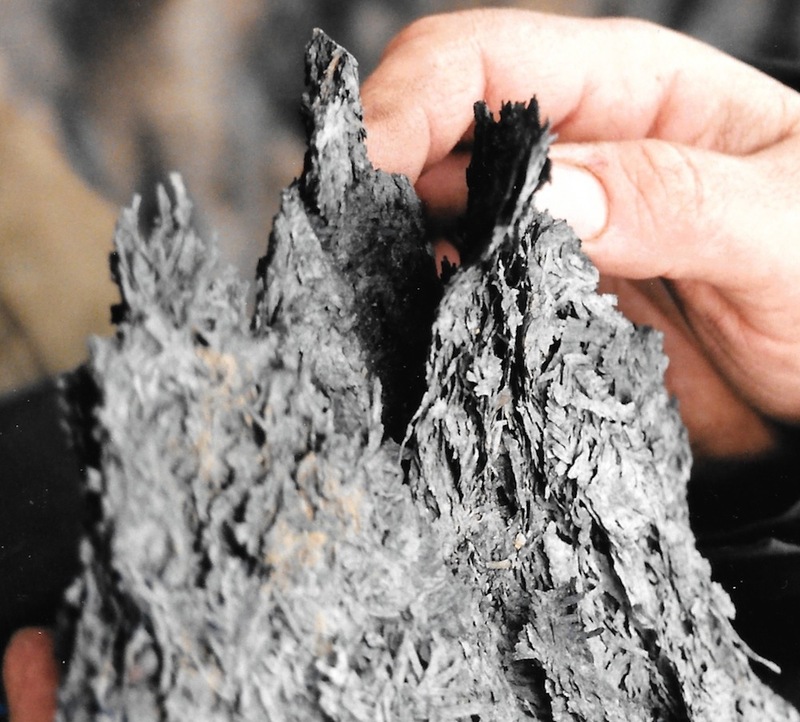 Liu expertly hammered a thick gray rock into sheets and quickly uncovered several remnants of leaves, some in almost mint condition, that were hidden in the clay. While the quantity of fossils on Axel Heiberg was unusual, so was their quality because they weren’t petrified, or turned to stone, but rather mummified or simply pressed into clay. While fossil gathering, we mainly concentrated on the rocks by the water and on exposed leaf litter that sticks out of the eroding outcrop above. We tried not to disturb any materials that aren’t already at risk from erosion. The only tools used were a small pickaxe, a knife and a magnifying glass. Some clay boulders contained a treasure trove of fossils. We examined each chunk for fossils, and foundseveral intact leaves. Liu was especially pleased when he finds a well-preserved seed, cone or leaf. Most of the fossil leaves came from the huge Dawn Redwood, which flourished here during the warmer Eocene Era, some 45 million years ago. This tall tree shed its leaves every year, casting thousands of its distinctive fronds on the ground, many of which survived the passage of time. Liu also found leaves from beech trees, kiwi-like seeds and cones from evergreens. He said studying such fossils under an electron microscope could reveal what levels of oxygen and carbon dioxide existed in the atmosphere of that much warmer period and show how these plants differed from their modern counterparts. “If we study these fossils, we can get an image of the paleo-vegetation and we can use it to reconstruct the climate because it’s a good indicator of the climate,” he said. Every fossil selected for further study was sprayed with latex to keep the plant tissues fresh. Then, the fossils were wrapped up in newspaper and taped, so that they would travel without breaking. Months later, the scientists would carefully unwrap the fossils. After an afternoon by the river, we headed back to camp, weighed down by our load of heavy, clay rocks. We held hands as we forded across the water, which in the heat of the day, had risen with melt water from the nearby glaciers. Our field camp was a small group of tents pitched on a rocky slope. I had my own tent and — finally — I had invested in a warm sleeping bag. In the evening, along with the three other members of the team, we made a simple supper— Liu whipped up a Chinese-style soup based on the dry ingredients that could easily be stored in the camp refrigerator — a hole dug in the frozen ground — such as cabbage, carrots, onions and bacon. After a couple of days by the river, we moved on to another site, by the Fossil Forest, where the stumps of 50-million-year-old trees were exposed. That’s where the weather changed, from a 20 C to a windy, cold and snow-filled, and at the fossil forest, I also find a group of American scientists who were digging it up. Like an iceberg continues May 30.